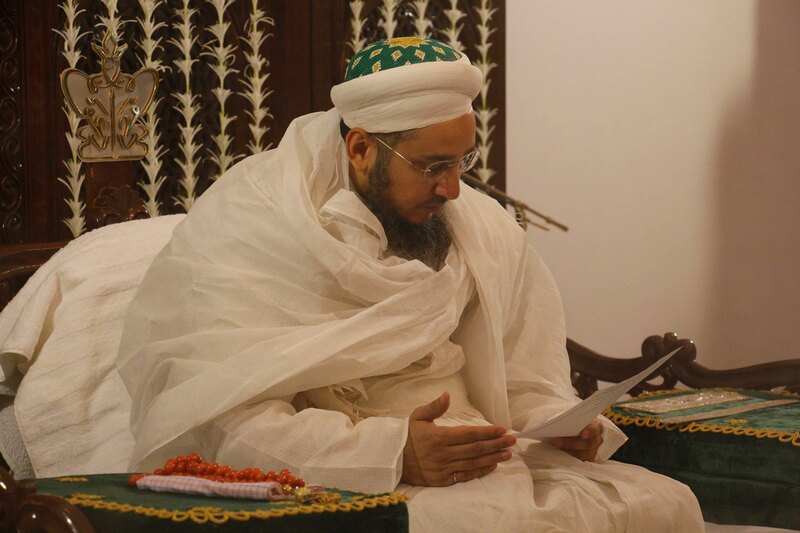 Syedna Taher Fakhruddin TUS delivered an illuminating waaz—pur-noor, pur-ma’rifat, pur-riqqat —on Shahadat eve of Amirul Mumineen Maulana Ali (SA). 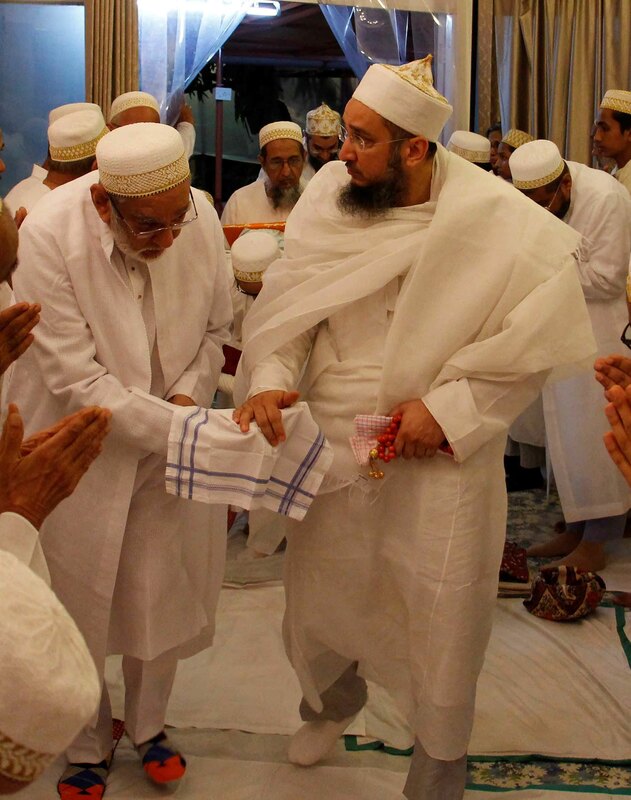 Ascending the masnad-e imami after Maghrib Isha and washeq namaaz, Syedna bestowed pearls of wisdom to the gathered Mumineen who had the good fortune to hear Amirul Mumineen’s shahadat bayaan from the lips of Amirul Mumineen’s Dai. This verse is in praise of Maulana Ali. It exhorts Mumineen to follow and obey Allah, Rasulullah, and his Wasi Maulana Ali. Explaining the occasion for revelation (shan-e nuzool) of this verse, Syedna Fakhruddin narrated that Maulana Ali was once praying namaaz in the masjid, when a mendicant came to him and asked for alms. Fearing the mendicant would leave, Maulana Ali, in the state of bowing down in ruku’, gave him the silver ring he had on his finger. Meanwhile, Rasulullah was seated in a majlis with his ashaab kiraam, and the verse quoted above was revealed. At that time, the mendicant came to Rasulullah’s door, and when Rasulullah asked him if anything unusual had happened, he explained what had passed. Those among the ashaab who were devotees of Ali, Salman, Abu Dharr, Miqdad, Ammar, were overjoyed. Others were jealous, and one attempted to recreate the scene, prompting the mendicant to come ask him for alms as he was in namaaz, so that a similar ayat may be revealed for him. Instead, a verse was revealed which declared that this person’s namaaz and zakaat were both invalid. 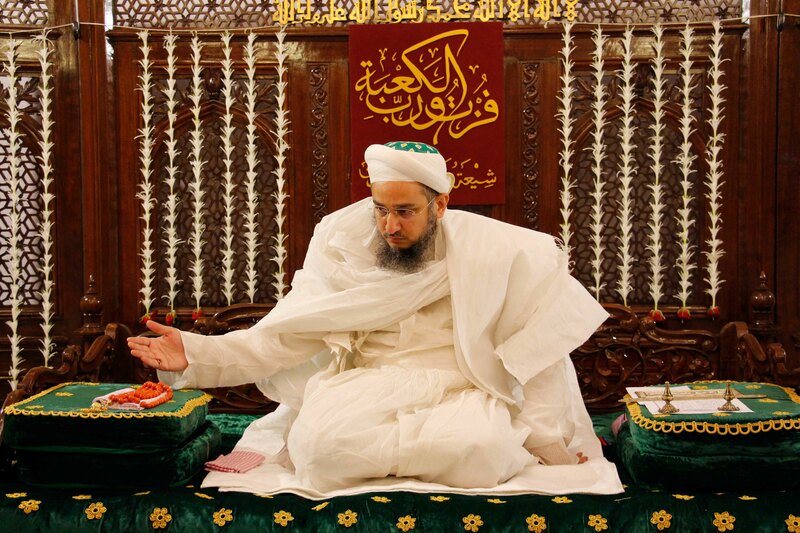 Syedna Fakhruddin expounded three exalted chapters in the exegesis of this verse, from three “baab”s of the Imam—Syedna Muayyad Shirazi RA, Syedna Jafar bin Mansur al Yaman RA, and Syedna Khuzaima Qutbuddin RA, saying that the Dai was also the Imam’s Baab--Syedna Abdeali Saifuddin had referred to his predecessor Syedna Yusuf Najmuddin as the Imam’s Baab. Just as the Qur’an enjoins Mumineen to pray namaaz and give zakaat, similarly, it enjoins them to follow Rasulullah and his Wasi. Just as namaaz is not accepted from one who does not give zakaat, similarly, Rasulullah’s walaayat is incomplete without walaayat of his Wasi, his progeny the Imams, and in their concealment, the Dais. 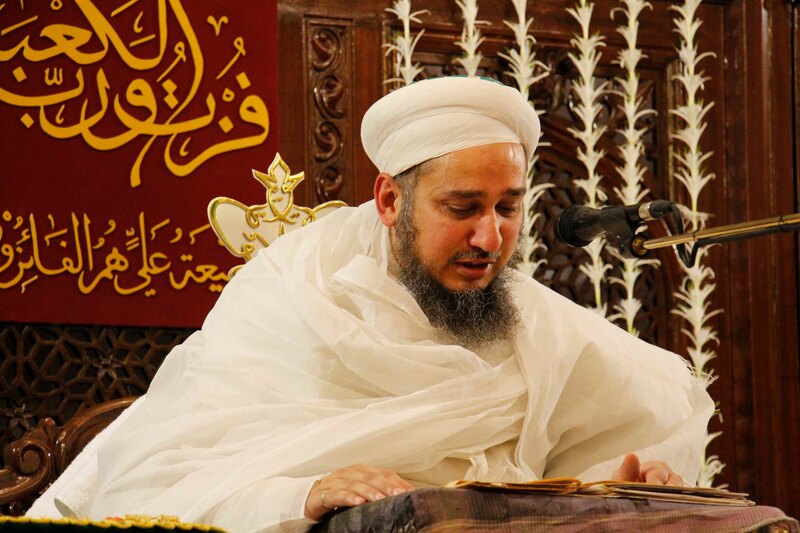 Syedna Fakhruddin recited the virtues of Shehre Ramadan, and urged Mumineen to take full advantage of its remaining days and nights, especially Lailatul Qadr, which is holier than a thousand months. He urged Mumineen to always recite the Qur’an; to pray namaaz, farizat and if possible tatawwu; to fast farizat rozas and if possible tatawwu (a few months ago, Syedna has begun fasting the three tatawwu rozas every month that Rasulullah SA has prescribed); and to give zakaat and other waajibaat. He said Allah’s rewards are abundant. 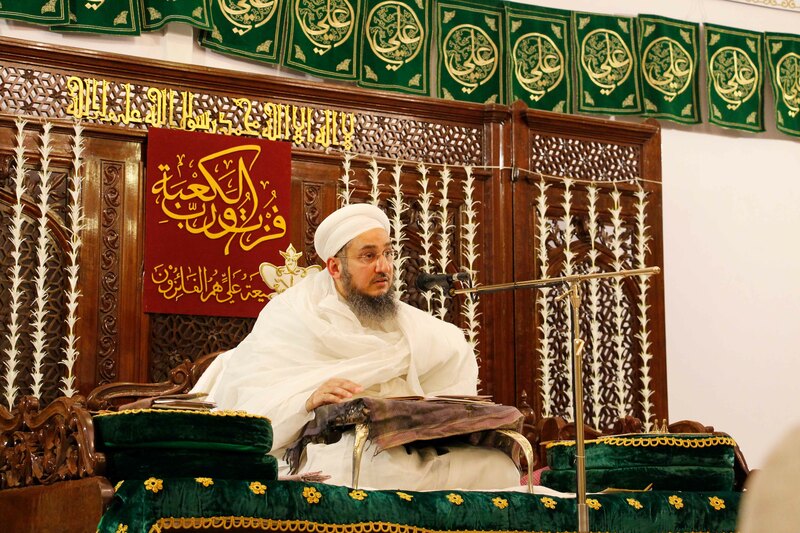 He urged Mumineen to follow Rasulullah’s Shariat and the 7 ‘pillars’ (da’a’im). He urged them to acquire Dawat learning. He urged them to be truthful and compassionate human beings. 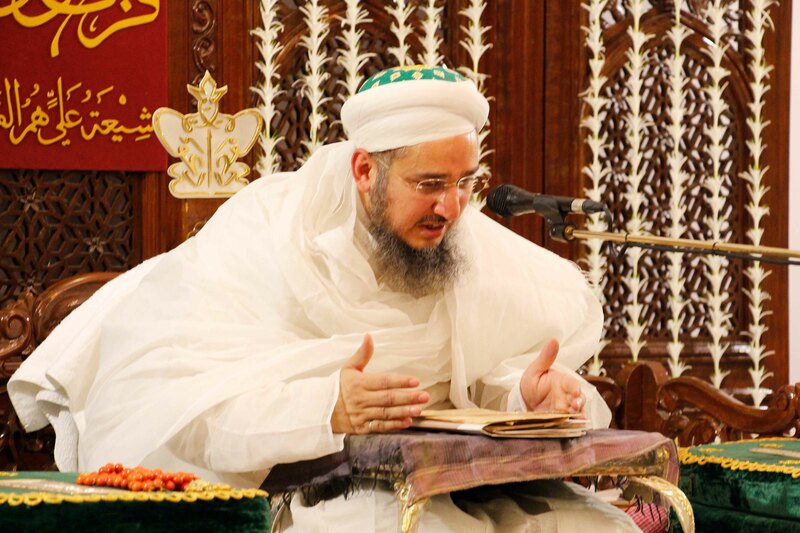 Syedna recited some verses of the munajaat sharifa he has composed for this Lailatul Qadr, and the praise of God opening, tahmid, for his risalat sharifa of this year. He prayed to Allah to safeguard Dawat and Mumineen, and to bestow victory, nasr-e-azeez and fath-e-mubeen. Taking the wasila mubaraka of Maulana Ali, Syedna Fakhruddin bestowed precious gems of doa for Mumineen, those gathered there and others all over the world—May Allah keep all Mumineen aabaad, shaad, grant all their hopes and wishes, and deliver them from all calamities. He bestowed special doa for barakat all who have arazed zakaat and waajebaat this year. He ended the waaz with a heartrending recital of Maulana Ali’s shahaadat. May Allah Ta’ala grant our Maula longest life in his safekeeping and bounties till Qiyamat, May we continue to take barakaat of his noorani kalaam always.